UTA has partnered with Daimler owned MyTaxi to offer drivers a dedicated fuel card solution in a move similar to Uber’s partnership with Fleetcor in the US. Following a three month trial, the fuel card is now available to drivers in Germany across the UTA network. In addition to helping people navigate around traffic jams, Waze wants to coordinate shared rides. The Alphabet unit launched Waze Carpool in 2017, but so far the service has only been available in California, Texas, and Israel. Now it’s expanding to Washington state. Waze Carpool connects people in need of a ride with drivers willing to carry passengers. It may seem like Waze’s answer to Uber and Lyft, but there is one crucial difference. Waze doesn’t make any money off the rides; it just charges riders what the app calculates is fair to cover gas. The expansion to Washington comes after a recent app update that added new features to the service. Users can now select who they will ride with based on star ratings, profile information, and connections to friends or workplaces. Riders can also filter by gender or choose to ride with coworkers only. China’s Groupon equivalent Meituan-Dianping has rolled out its own ride-sharing service, as the implementation of stringent regulatory requirements during the past few months shook up major players in the sector. Meituan-Dianping is currently testing the service in Nanjing city, where users can order rides within the mobile app, in addition to receiving peer review and group-buying deals for restaurants, hotels, entertainment, short-distance travel and other local services. The company is still deliberating on how best to serve its users in this category. It may consider recruiting its own drivers or partnering with existing ride-hailing platforms. It is reportedly in the process to apply for an online ride-sharing license, a necessity under a national ride-sharing regulatory overhaul. The move has been seen as bringing competition to Didi Chuxing, which also has a pooling service within its core ride hailing business. However, the option is also very similar to Waze Car Pool, which has been operating in several US states and Israel since 2016 and continues to expand. AutoNavi’s car pooling business will begin in Chengdu and Wuhan initially with plans to roll out nationally later on. The agreement covers more than just car sharing, where both companies were among the first OEM movers have are responsible for two of the largest schemes in the world; Car2Go and DriveNow/ReachNow. The agreement will cover ride hailing parking, electric vehicle charging and multimobility. Each company will hold a 50% stake in the new, yet to be named, JV. Fleet management and vehicle leasing conglomerate Ryder System is rolling out of what it calls an “asset sharing platform” called COOP by Ryder. Ryder said its new digital platform offers businesses the opportunity to list and rent underutilized commercial vehicles within a network of trusted peers. Per Ryder estimate, a 26-ft straight truck traveling 100 miles per day can generate lenders up to $3,300 per month. Global telematics company The Floow has launched a production-ready telematics platform, FloowDrive, giving insurance companies, fleet operators and auto manufacturers access to the telematics market. 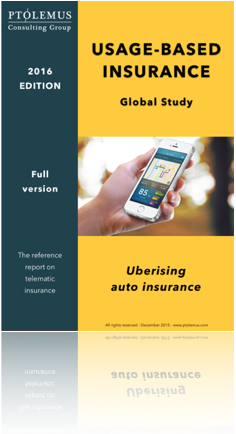 They claim the telematics market grew 26% in 2017 to 17.4 million policies worldwide. Octo’s telematics services and data analytics will be used by RCI Bank and services, Group Renault’s global finance company, to “enhance customer relationships and loyalty”. As part of its sales process, RCI Bank and Services will offer customers the option to include an Octo device in their car to make their vehicle uniquely tailored to them and their driving style. Octo will use its market-leading big data analytics to develop a complete profile of each driver and vehicle. This profile will include a driving score which measures each motorist’s unique style, as well as monitoring the condition of the vehicle. This will allow RCI Bank and Services to provide made-to-measure services based on each driver’s driving profile. Avis Budget Group has reached a multi-year deal that will add 10,000 Toyota vehicles to Avis Car Rental’s expanding fleet of connected vehicles. The benefits promised to customers are enhanced and more personalised experience, while improving informatics, fleet management and operational efficiency for Avis. Since the Avis mobile app’s transformative launch in July 2016, usage has grown to over one million transactions from more than 350,000 unique customers. Avis Budget Group has committed to operating a fully connected global fleet by 2020, and will have 100,000 fully connected cars in the United States this year. Verizon has launched Verizon Connect, combining three fleet and mobile workforce management software companies ( Verizon Telematics, Fleetmatics and Telogis) under a single brand. Verizon Connect is the culmination of more than $5 billion in investments. Lytx became the first company in the history of video telematics to sell 300,000 new subscriptions over a three-year period. The company has now reached half a million total subscription, more than any other video telematics company in the world, and has over 3,000 clients. In collaboration with Worldline, leading fuel card provider Total has launched eWallet, a 100% digital and connected solution to enable customers to fill up and pay for purchases through their smartphone. Using their on device, drivers will be able to select and pay for fuel without the need for cash or a payment card. This follows similar product launches from both Shell and BP, who each have a smartphone based fuel payment solution of their own. Boston based financial and consumer services firm Verdeva has struck a partnership with the E-ZPass group to bring in-vehicle payment solutions to the North-East network via the RFID toll tag. As a result of the deal, drivers will soon be able to pay for dive-thru services using their E-ZPass tag, which will be linked to the driver’s existing payment card. Funds will be taken from a separate account, thereby not taking funds from the driver’s tolling account. According to early statements, driver-thru convenience and fuel will form part of the acceptance network. Similar schemes have existed in Europe for many years using utilising the various DSRC tags in operation. Drivers in Portugal, for example, are able to pay for fuel, parking and McDonalds at various accepting locations. Drivers in Italy have access to a range of similar in-vehicle payment solutions through the Telepass DSRC device. LoJack Italia, a wholly-owned subsidiary of CalAmp and a leader in stolen vehicle recovery and innovative automotive services, announced today that it has entered into an agreement with European fleet management and long-term lease leader ALD Automotive Italia, making LoJack Italia the primary supplier of telematics solutions to ALD customers in Italy with a planned future rollout throughout Europe. Arval, BNP Paribas’ vehicle leasing division, grew its serviced fleet over 7% in 2017, reaching 1.1m vehicles. Operating income for the division was stable at €1bn, operating expenses grew 8,1% to €1.6bn. The group attributed this in part to investment in digitalisation, mainly concerning online fleet management. Arval’s results were driven by double digit fleet growth across virtually all markets, including the core regions of France (+5%), Spain (+15%) and Italy (+10%). The company also launched a subsidiary in Norway during the last quarter of the year, with the aim of growing the local fleet to 2,000 vehicles by 2020. Arval unveiled 5 new products, covering car sharing and electric vehicle developments, including a partnership for electric vehicles with Renault-Nissan. The program will launch in France and subsequently in 13 other countries, including the UK. Reporting a strong rise in earnings, LeasePlan has declared that it wants to “lead the trend from car ownership to car usership”, for both new and used cars via a subscription model. Over the last year, total revenues have climbed to €9.36 billion, with an net profit of €466.6 million; up 9.7% on the year before. LeasePlan has consistently been one of the leading leasers when it comes to embracing new business models based around mobility as a service and vehicle connectivity. Along with committing to connecting all of its vehicles, LeasePlan has also launched separate car sharing and mobility payments schemes, often in partnership with third party providers. The company now manages over 1.7 million cars across 32 countries. BPme is initially a consumer targeted product and will be rolled out across 500 BP stations in the UK. Individuals can link their existing Visa, MasterCard, AMEX or PayPal to a new BP account – crucially therefore, the new system represents a change only in the customer experience and does change the fundamental payment infrastructure. Shell has already introduced a similar system, Full Up & Go, also in the UK also in partnership with PayPal. 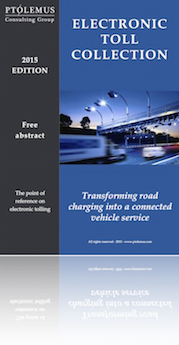 As we have explored in our Connected Fleet Services Study, there are far more innovative and, potentially, groundbreaking trials taking place involving companies such as BMW, Total, DKV and Zahlz. 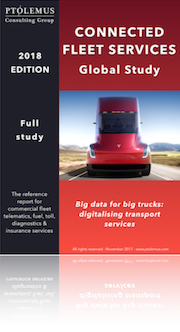 Movildata International is a Spanish based telematics service provider specialising in the heavy truck and van sector with approximately 30,000 devices installed. As well as installing its own devices, Movildata International also enables integration of existing GPS hardware. The deal continues Verizon’s strategy of acquiring to deliver growth and adds an on the ground presence in one of Europe’s most promising markets. Spain also has a large network of tolled roads generating almost €2 billion per year in revenues and has been one of the first countries to accept EETS devices. Union Tank Eckstein (UTA) has acquired a 51% stake in Times Card SP, which acts as the primary issuer of UTA cards across Poland, the Baltic states and Ukraine. The move may be in response to both the opportunities presented in these under-penetrated markets, as well as the growth of competitors such as Eurowag, which has a strong presence in these markets. The deal values 99 Taxi at over $1 billion. Didi is now valued at $56 billion, potentially placing it above Uber, depending on which valuation is used. Consequently, Modalizy and XXImo customers can use their mobility cards to use any of the 310 DriveNow vehicles available in Brussels to get from A to B in the Belgian capital, and to Brussels Airport just outside the city. Donlen has embraced mobility as a service for some commercial fleets, and has set up an internal team to offer car sharing, ride-hailing, short-term vehicle rentals, and other products. The company is pulling closer to its corporate parent, Hertz Global Holdings, to position itself to meet these emerging mobility trends. In the past few months, Donlen has begun laying the groundwork to enhance its mobility services. In June, the company appointed John Korte as vice president of mobility business development. He had served in a client relations role. At the same time, the company set up a mobility team under Korte that includes associates from sales, product, customer service and consulting functions. Donlen is also looking to develop technology partnerships with third-party providers of solutions that provide greater mobility options to fleets, including potentially developing mobile apps that would allow corporations to reserve vehicles for shorter term use. Daimler has a new all-electric semi truck that it revealed at this year’s Tokyo Motor Show, with a range of around 220 miles on a single charge and a heavy-duty towing capacity of around 11 tons, or just two tons less than its diesel equivalent. The Vision One packs in batteries with storage capacity of up to 300 kilowatt hours, and that 220 miles of range allow for short haul trips between relatively closely spaced cities – not suitable for long haul, of focuses, but more flexible in terms of carrying large loads over medium distances. The E-FUSO brand is also a new sub-brand of Daimler’s Mitsubishi trucking unit, which will lie alongside FUSO but focus on its all-electric ambitions and aim of delivering a purely electric version of all the trucks across its range. Mitsubishi Fuso Truck and Bus co. notes that it’s the first vehicle maker of its kind to have a brand dedicated to EV buses and trucks. This truck debut comes after FUSO has started to deploy its eCanter light duty truck to its first commercial customers, and just ahead of the debut of a Tesla’s electric heavy-duty transport truck, which is set to be unveiled next month at a special event. Tesla’s truck is reported to have a range of between 200 and 300 miles, which could put it right tin line with the new E-FUSO Vision One. This is definitely a shot across the bow of Tesla’s trucking ambitions, though we’ll have to see what Elon Musk’s company will be demonstrating in terms of additional features, including perhaps autonomous capabilities, that it thinks will set its offering apart. Under the service agreement, LeasePlan customers will be able to access TomTom’s advanced cloud-based fleet management and connected car solutions, including WEBFLEET. These solutions – all of which support customer compliance with the latest data privacy legislation – help corporate fleet and mobility managers improve performance by providing real-time data on key fleet metrics. For drivers, car connectivity will deliver smarter mobility solutions which enhance the overall driving experience, improve efficiency on the road and make life easier. LeasePlan will also leverage TomTom’s cloud-based telematics service platform, enabling the company to further optimize the performance of its fleet management activities in key areas such as vehicle maintenance and contract management. The announcement supports LeasePlan’s strategy to connect all of its vehicles by 2020. TomTom has been a partner of LeasePlan for some time, albeit on a white labelled basis up until now. Octo is also a partner on this basis. Payment system for hailers booking and delivering loads via FR8star’s website. The expansion of the charging infrastructure for electric vehicles in Germany is carried out by various suppliers and power suppliers. In order to simplify the possibilities for payment at the individual charging stations, Volkswagen Financial Services has developed the Charge & Fuel Card and integrated it into the market, which now also incorporates the charging facilities of chargeIT mobility. The Charge & Fuel Card, including the Charge & Fuel App, combines all the advantages of a classic fuel card with the possibility of charging electricity. As a result, around 4,000 publicly available charging points are available to customers throughout Germany. This includes now about 500 charging points of chargeIT mobility. The charging network for the users of the Charge & Fuel Card is being expanded step by step. TomTom (TOM2) today announced that it has been selected to power MICHELIN’s new mobile application for truck drivers called MICHELIN RoadConnect. TomTom’s online services and map data will be used to help drivers find suitable routes and provide estimated journey times. MICHELIN RoadConnect, available on Android (and iOS before the end of 2017), gives truck drivers information about their current route as well as important stops along the way. The base plate will charge the vehicle in roughly 3.5 hours with the iDrive system directing the driver onto the plate. It will be purchased separately to the car via the dealership. Building on an existing device supply partnership, telematics technology provider CalAmp has taken a minority stake in German connected car services supplier ThinxNet. As a supplier of telematics hardware to the usage-based insurance and telematics industries, this investment represents a clear move from CalAmp into services provision. ThinxNet’s core product, TankTaler is an OBD and smartphone based product aimed at the consumer segment which enables basic diagnostics and fuel efficiency reporting as well as smartphone based fuel payments across Germany. Under the brand SyncUP, T-Mobile will begin offering a fleet telematics service priced at only $3 per month plus an initial $25 SIM starter kit. Unlimited data for the device will also be offered at $15 per month. The SyncUP platform will be powered by a Geotab OBD device and back office software, which can then be accessed via ant smartphone, tablet or desktop. The plan includes 200 MB of roaming and unlimited data at 512 kbps. The solution is said to be targeted at commercial vehicles of all sizes and will be ELD compliant. Element Fleet Management has begun offering maintenance scheduling through its Xcelerate for Drivers website and mobile app with Firestone Complete Auto Care (FCAC), Tires Plus, and windshield repair scheduling with Safelite AutoGlass locations. The announcement means drivers can schedule maintenance service from their mobile device, according to the fleet management company. Drivers now can access a map of national account suppliers to reduce operating costs. While no financial details have been disclosed, WABCO has confirmed that it will acquire 100% of AssetTrackr shares and it looks to push into the Indian market. Currently, fewer than 2% off commercial vehicles in India are thought to be equipped with telematics solutions, leaving plenty of room for growth in future. This follows WABCO’s 2014 acquisition of Transics – a leader in telematics for heavier trucks in Europe. WABCO is known to be working on a closer integration of its own diagnostics capabilities with Transics’ telematics solution in order to provide a more sophisticated offering than competitors, albeit with a higher typical ARPU – it is unclear at this stage whether the company will pursue a similar approach in India. According to reports, the BMW owned car sharing service is valued at €960 million and could merge with its larger rival, Daimler’s Car2Go. DriveNow has almost 1 million registered users spend across 8 European countries. Car2Go has reached 2.7 million members spread across Europe, North America and China and continues to grow at a rapid pace. DriveNow has arguably been the more dynamic of the two with the launch of ride hailing and fleet sharing services, although largely through its sister platform, ReachNow, which is based in the US. While there is undoubtedly a lot of direct competition between the platforms in individual cities, there are plenty of areas where both can bring value and strength in complimentary markets to the other. In yet another challenge to Uber’s global leadership in the ride hailing space, its once fierce competitor, China’s Didi Chuxing, has announced a strategic investment in Middle-Eastern operator Careem. Didi ultimately prevailed in its short but costly battle with Uber in China and is now said to have over 400 million subscribers and 20 million trips per day. Careem has grown rapidly across the Middle East and Africa region and has grand plans to expand and fill the void left by either inadequate or non-existent public transport. The platform now has more than 6 million registered users, 100,000 drivers and a valuation in excess of $1 billion. In addition to this investment, Didi Chuxing also has a stake in Uber’s main US competitor Lyft, Latin America’s 99 and South East Asia’s Grab. Of course Uber and Didi also have shares in each other following Uber’s withdrawal form China in 2016. The technology and investment giant has already invested in ride hailing services including China’s Didi Chuxing and South-East Asian operator Grab. An investment in either firm would be of high symbolic importance. If Uber were to receive investment then it would be a welcome reminder of the strength of the company following a recent spate of disastrous PR and the loss of almost all C-level board members. An investment in Lyft would be equally significant given that they are Uber’s only real national competitor in arguably the world’s most important ride hailing market. The Europe-wide booking platform Bosch Secure Truck Parking helps in the search for a suitable parking space and will enable better route planning, taking into account rest stops and hours driven. Following in-house testing, Bosch has launched an online platform that will allow truck drivers to view available secure parking in real-time. Drivers and fleet managers will be able to reserve spaces either in advance on during their journey, also via the online/smartphone platform. Azuga will offer Allstate’s Signature Motor Club RSA service via the Azuga FleetMobile App. Geolocation of the vehicle will be provided by the Azuga OBD dongle and sent wirelessly to the RSA provider. There is no information on whether the app will also deliver diagnostics information from the device. In a further effort to maintain market share in the fiercely competitive US market for car sharing, the world’s largest operator, Car2Go, has launched a mobile re-fuelling service with California based start-up Filld. Typically, Car2Go cars come equipped with a fuel card, which enables users to re-fuel the car when required. The new partnership with Filled with remove this need by enabling mobile fuelling, ensuring that all Car2Go vehicles are fully fuelled as and when required. The move also enables Car2Go to maintain much greater control over the price of fuel as users have no incentive to shop around for the lowest gas price. The partnership between Car2Go and Filld is currently operating in Seattle and Vancouver and is expected to be launched in Portland (OR) later this year. It is no coincidence that these three cities are among the largest markets for car sharing in the US with other players such as ReachNow, Zipcar and Communauto also vying for market share. Embark originally built its test prototype on a Peterbilt 579 truck, therefore a formal partnership with the PACCAR owned brand represents a practical next step. Peterbilt will be building the new test trucks for Embark’s fleet custom at its Denton, Texas factory, in order to help better tailor them to the startup’s needs. The Peterbilt/Embark partnership is yet another joint venture designed to accelerate the adoption of autonomous technologies among heavy class vehicles. Earlier this year, Otto (which is owned by Uber) took part in a driverless trial using a Volvo truck along more than 100 miles of interstate in Colorado. While other leasing companies have been working on such solutions behind the scenes, Volkswagen Financial Services has announced ambitious plans to move from total cost of ownership (TCO) services built around the car to a total cost of mobility (TCM) proposition. Volkswagen’s plans to deliver TCM involve integrating telematics data with transport management tools, which could also involve hotel bookings, parking payments, car sharing/ride hailing services etc. Volkswagen is not the first to envisage a fully integrated mobility management tool such as this, however, as one of the largest leasing providers in Europe it has the potential to accelerate broader developments in the market. As one of the last large leasing companies to launch an own brand telematics product one could argue that Volkswagen is in fact behind competitors such as Alphabet, Arval and LeasePlan. However, given the financial backing of the world’s largest automaker Volkswagen could well lead a renovation of the marketplace as it has suggested. Since launching in Germany in 2008, Daimler’s Car2Go has grown ahead of its competition to become the largest car sharing scheme in the world, boasting over 2 million registered users and approximately 15,000 cars across Europe, China and the US. Until now, the service has been build around the marque’s distinctive Smart model, which was seen as well suited to urban environments in which the scheme operates. However, other OEMs – particularly GM and BMW – have begun to catch up, particularly in the US market, with the launch of Maven and ReachNow respectively. Unlike Car2Go, ReachNow and Maven have initially targeted the more premium segment of car sharing with models including the Mini, i3, Buick Regal and Cadillac ATS. Both have also launched in more affluent locations and residences in areas such as downtown New York, Brooklyn, Seattle, San Fransisco and Portland. In response, Car2Go has announced the introduction of thousands of new Mercedes CLA and GLA sedans, which could even outnumber Smarts by the end of 2017. The move represents not only a gentrification of car sharing, but also an indication that the service has become a permanent means of mobility for urban dwellers, including families and businesses, rather than a niece option for single individuals. In a very interesting article on the BBC, BlaBlaCar reveal that over 4 million people use the service every month, out of a total user base approaching 40 million around the world. The company claims that almost 1 in 5 people in France have registered to use the service, either as drivers or passengers – a figure supported by our car pooling projection within the Connected Mobility Global Forecast. Following Didi’s purchase of Uber China and apparent soothing of relations between the once fierce rivals, Didi has once again turned up the heat by leading a $100 million investment round in Brazil’s main competitor to Uber, 99. Formerly known as 99Taxis, 99 is seen as the ride hailing market leader in Sao Paolo and Rio de Janeiro and main competitor to Uber in the Brazilian market. 99 claims to have over 140,000 registered drivers and over 10 million registered users. Alongside the cash investment, Didi will provide technology, product development, operations and business planning expertise, including specific algorithmic capabilities. The deal is just another step in Didi’s clear strategy of extending beyond its core Chinese market by investing in Uber rivals. Didi also has a partnership with Lyft in the US, Ola in India and Grab in South-East Asia – each represents the largest competitor to Uber in their respective markets. Toyota is the latest to make a bet on a mobility model espoused by a startup, with a strategic investment in SF-based car sharing provider Getaround. Toyota’s investment also comes with integration with Getaround’s platform on the technology and finance side, incentivizing Toyota car owners to participate. As part of the new strategic partnership, Toyota will offer new vehicles, beginning with premium Lexus cars, for rental via Getaround with completely keyless entry and driving via their smartphone. Then beginning in January 2017, Toyota’s financial services wing will let Toyota car lessees make payments on their vehicle directly from their Getaround earnings pool, eliminating a step between revenue generation and applying that to offsetting the cost of the car. In an interesting move which spells bad news for Uber’s main competitor in the US, Lyft, General Motors has struck a partnerships with Uber to offer shared cars to their drivers. GM’s car sharing platform, Maven, which is rapidly expanding across the US, will make cars available to Uber drivers on a short term basis in San Francisco. The move is yet another example of Uber working with car sharing providers to make cars available to drivers looking for flexible solutions. Uber has other such partnerships with providers such as Zipcar and Singapore’s SMove. Earlier this year, GM invested $500 million in Lyft and has been pursuing a similar strategy based on making GM branded cars available to Lyft drivers with special leasing agreements. GM has also been working with Lyft to develop autonomous technology, however this deal raises questions over the long-term future of Lyft, which is estimated to have less than 15% market share in the US, compared to Uber, which has more than 80%. Launched in late 2008, Daimler’s Car2Go has grown quickly to become the world’s largest car sharing scheme in terms of both number of cars and number of users. With more than 14,500 vehicles spread over 10 countries and 3 continents, Car2Go is the undisputed leader of the global car sharing brands. Using bottom up figures from our recent Connected Mobility Global Forecast, we estimate that Car2Go has twice as many as the next largest global player, Zipcar (India’s Zoomcar also claims to have 1 million registered users, although we are currently unable to confirm this). Car2Go has also pioneered the one-way sharing model by negotiating parking partnerships and agreements with local authorities from Cologne to Chongqing. It is estimated that Car2Go’s membership has increased by 1 million in the last 21 months alone. More than 100,000 of these have come from China, where the company is the first of the global big 3 (Car2Go, Drive/ReachNow & Zipcar) to establish a base in the country. Daimler has projected revenues of €800 million from the service by 2020, although has refused to comment on whether Car2Go is currently profitable. BMW recently announced that its own sharing scheme, DriveNow, had become profitable following initial losses. Having first presented the idea some time ago, Renault has confirmed the launch of Renault Mobility, a new car sharing scheme designed specifically for fleet vehicles. The platform will be delivered via a telematics device, which can be installed in any branded vehicle. The scheme will be operated by Renault’s leasing and finance arm, RCI Mobility, and will enable fleet managers to privately share their vehicles as well as expanding inter-company use. The move supports the growing trend towards fleetsharing, a concept derived from successful consumer car sharing schemes such as Zipcar, Car2Go and DriveNow. Alongside Renault, BMW has been offering the service via its own leasing arm, Alphabet, for a number of years, whereas other OEMs such as Ford and GM have begun exploring the concept for fleet use. Following the launch of its carpool and parking locator services, Google’s community based mobility app, Waze, has announced that it will begin installing GSM network beacons at various locations around the world in order to ensure users are able to access services in areas previously without coverage. In France, Waze has been working with motorway and tolling operator Sanef to install the beacons – several beacons will also be installed in Paris. The company’s decision to focus initially on France is a clear indication that Wazepool could soon be coming to Europe’s largest car pooling market, currently dominated by France’s most valuable start-up, BlaBlaCar, which has almost 10 million registered users in the country and over 35 million worldwide. Playing catch-up with the likes of Ford, PSA has launched its own mobility services group, Free2Move, which will include car sharing, ‘smart services’, fleet management and leasing. While not everything about the new group is absolutely clear yet, car sharing is a key pillar. Adding to the already announced partnership with France’s Bollore, PSA has also made a strategic investment in Canada’s community based car sharing scheme, Communauto. The latter currently has in the region of 25,000 members across Eastern Canada, however we suspect the technology, rather than the brand is the driving force behind PSA’s interest. A base in Canada will also complement it’s planned activities with Bollore in California as the French Car maker seeks to re-establish itself in North America after an absence of more than 20 years. PSA has announced that it will begin offering car sharing services in Los Angeles, in partnership with France’s Bollore Group. The scheme will form part of PSA’s re-entry strategy into the North American market. The carmaker plans to use the scheme to extract data on driving patterns and car use, which it will use to better understand the specific market conditions. PSA also aims to generate €300 million in revenue from its new mobility services division by 2021. To put this in context, Daimler has plans to grow its car sharing platform, Car2Go, to €800 million in annual turnover by 2020 alone. The North American car sharing market is notoriously hard to crack. BMW, for example, was forced to withdraw it’s DriveNow scheme from San Francisco in late 2015 (the company has since successfully re-launched in Seattle and Portland under a new brand, ReachNow) and Hertz abandoned its 24/7 sharing model entirely in August of the same year. Working with Bollore however, may prove more successful for PSA. Bollore Group are an experienced car sharing operator with an existing scheme in Paris and plans for another in Singapore, in partnership with the Land Transport Authority. The two companies already co-operate at the manufacturing level. Late to the game, Zipcar has finally launched its very first one-way sharing model in Brussels. Up to 250 Peugeot 208 models can now be rented and returned to any applicable parking space within 16 of Brussel’s 19 commune zones. This comes shortly after Zipcar also announced its 1 millionth member. Brussels also represents the 7th European country where Zipcar is now present, putting then on par with BMW’s DriveNow and Daimler’s Car2Go (both also 7). Zipcar however remains far behind both of these OEM platforms in terms of both number of cars and registered users across Europe. Each has also been offering one-way sharing for much longer than Zipcar and has reaped the benefits in terms of faster subscriber growth as a result. As part of its ongoing expansion in the personal and corporate mobility market, Uber has signed a partnership agreement with peer-to-peer (P2P) platform DriveMyCar, which will allow potential Uber drivers to use peer rented cars on a flexible contract. Car sharing has seen a slow start in Australia compared to other developed markets, although the development of the P2P market has seen some interesting offerings such as Carhood, which focusses on renting individual’s cars from airports while they are away. The deal between Uber and DriveMyCar will see privately owned, as well as idle corporate vehicles made available to UberX drivers for a weekly fee. The service includes full insurance coverage (provided by DriveMyCar) and roadside assistance. Leasing, sharing, rental and fleet services leader Orix, has concluded a strategic partnership with parking provider Nokisaki. One of a large number of innovative new global parking start-ups, Nokisaki allows owners of un-used and available parking spaces in various locations to rent the space for a fee. As part of the partnership, Orix car sharing users will be eligible for a discount on spaces available through Nokisaki. The two will share data and make services available through their individual online platforms. Already on of the largest markets for car sharing in the world, the German government will introduce new parking laws, a move likely to boost growth even further. It is estimated that there are already 4,400 parking spaces reserved for car shearing schemes across 284 German cities. This will grow significantly with the new legislation, expected tomb introduced by mid-2017. According to government figures, there are 16,100 vehicles and over 1.2 million registered car sharing users, however these numbers do not include peer-to-peer platforms, which are also growing at a rapid pace (for complete figures and a 2020 forecast see our connected mobility services report). The new laws do not come without restrictions however, with strict CO2 limits imposed on applicable vehicles. Such limits could initially benefit domestic champions such as Car2Go and DriveNow disproportionately due to their use of hybrid, electric and ultra-low emissions models. Other large providers such as Zipcar and Cambio use a more mixed fleet or small and large vehicles. The P2P car pooling platform has seen impressive growth in India since launching in January 2015. The company now has plans to reach 4 million dies by the end of 2016. It’s last major funding round was conducted in September 2015, rain gin $200 million. This valued the company at $1.6 billion. Key to success in the Indian market has been a stronger focus on the mobile app and indeed smartphone access in general. In Europe, the service has taken much longer to embrace mobile over desktop use. The company’s focus on longer distance, pre-planned journeys means that it does not compete directly with other fast growing mobility providers such as Ola and Uber. Indeed, as elsewhere, BlaBlaCar sees public transport as its main competitor. BlaBlaCar in India has also been at the forefront of changes to the service such as the ability to select female only rides and mandated ID from all users. In the last week, Uber has signed a deal with Volvo, with the aim of launching a fully autonomous service by 2021. This follows similar announcements by both Ford and BMW, who have each also committed to launching fully autonomous vehicles by the same date. Days later, the SanFrancisco based ride hailing giant announced the acquisition of driverless truck technology provider Otto, for an estimated $680 million in shares. Rather than a cash sum, Otto will receive a 1% stake in Uber, which was valued at approximately $68 billion after its last funding round. The 20% stake now held by Uber China in former rival Didi Chuxing is likely to add considerably to this valuation once Uber decides to launch an IPO, possibly within the next year. FlightCar follows a growing P2P business model whereby individual cars are rented out on a short term basis from airport car parks while the owner is on a trip. The company takes care of the rental, insurance and cleaning services. Rates depend on miles driven. The technology will now be incorporated into the Mercedes North America research and development division. In a first of its kind development, Bosch has become the first tier 1 supplier to launch a direct to consumer mobility as a service scheme. Via the wholly owned ‘Coup’ app, Bosch has partnered with electric scooter manufacturer Gogoro. The initial fleet of 200 scooters will be installed across Berlin, which is fast becoming the world’s vehicle sharing capital. The world’s largest car sharing schemes, such as Car2Go and DriveNow, as well as major local players such as Flinkster, Cambio and Multicity, are all active in the city. Motorcycle sharing is not a new concept, however the decision by Bosch to launch its own consumer offering will put it in to direct competition with many of its OEM customers. Following BMW’s highly successful entry into the US car sharing market with ReachNow in Seattle, the company has decided to expand the one-way sharing service to neighbouring Portland. The city is already home to the #1 and #2 car sharing schemes in the world – Car2Go and Zipcar – so it is only right that #3 also enters the fray. Car2Go has a reported 45,000 members in Portland, which speaks to the appetite for car sharing given that the city has only 630,000 residents. The ReachNow model is based on a similar “free-floating” approach, which allows users to pick up and return the car to a different location. The Zipcar model continues to rely on a station based approach, whereby the car must be returned to the same location. BMW has benefitted from integrated car sharing technology, installed as part of the OEM’s ConnectedDrive telematics platform. Daimler, who are behind the Car2Go scheme, are not thought to have their own embedded technology platform and rely instead on aftermarket technology, similar to Zipcar. UberCentral will allow business customers to request single or multiple cars on behalf of employees or clients, which will not require the passenger to have the app. Each ride will be billed to the corporate account. This will bring Uber into completion with new sections of the taxi market as it has hitherto focussed solely on individual transport solutions. Renault Mobility, which will launch officially at the Paris Motor Show in October, is aimed at both private and business customers and will operate in partnership with RCI Banque and Renault’s network of dealerships. “With Renault MOBILITY, Renault offers a Renault brand vehicle or other, made easily accessible and available at any time. The aim is to meet all travel needs, from individuals to whole fleets, with flexible and adaptable solutions at the best price,” said Christophe Chevreton, Renault France director of the new mobility project. Renault aims to offer car sharing solutions to both individuals and fleets through its network of partners and dealerships. Renault MOBILITY will use technological solutions provided by RCI Mobility, a subsidiary of RCI Bank and Services. The growth has been largely attributed to Uber’s position in the insatiable Chinese market. Indeed, 54 of the 147 rides which tied for the two billionth were in China. Of course this breakneck growth does mean that a billion rides would not be spread evenly over the six month period. However, for the sake of comparison, one billion rides over six months is roughly 5.5 million rides per day. Didi, Uber’s fierce rival in China, completes over 10 million rides per day and delivered more than 1.4 billion rides in 2015 alone. Of course Didi is only active in China, although services are available in more than 400 cities. Uber is now available in 73 countries, over 450 cities and counting. Juno was founded by technology entrepreneur Talmon Marco, who also founded messaging service Viper. The start-up is aiming to usurp Uber by taking a 10% commission on each ride, rather than Uber’s standard 20%, which can rise as high as 30% during surge periods. Juno also aims to treat its drivers better, thereby creating a better experience for passengers. The company has already attracted over 8,500 drivers in New York, where it will first launch, compared to Uber’s estimated 30,000. Uber is facing increasing competition across all markets, ranging from Ola in India, Didi Chuxing in China, Grab across South-East Asia and Lyft (and others) in the US. Its treatment of drivers has always been a source of disaffection and controversy and will likely continue to be so for some time. Uber has completed the raising of an initial leveraged loan, bringing in $1.15 billion in capital at a rate of roughly 5%. The loan was arranged with the help of four banks: Morgan Stanley, Barclays, Citigroup and Goldman Sachs. The deal will allow Uber to invest in its continued expansion without diluting existing shareholdings. This new deal raises the value of Uber to an estimated $68 billion. CEO Travis Kalanick has stated that it is unlikely Uber will go public for at least another 12 months. Alongside the introduction of new services such as Uberpool and Ubercommute in established markets, Uber continues to expand into new markets ranging from Saudi Arabia to South Africa. The company remains stuck in fierce battles with Lyft and Didi Chuxing in the US and China respectively, both of which have also proven quite adept at raising massive funds. Singapore authorities have appointed BlueSG, a subsidiary of Bollore, which runs the successful Autolib platform in France, to deliver the countries first on-way, all electric car sharing scheme. The operation will begin rollout in 2017 with an initial 125 cars and plans to number 1,000 cars by 2020 – the date at which Singapore’s next-generation, satellite based electronic road pricing programme will also begin. The cars will be powered by a planned 2,000 charging points and supported by parking spaces in 500 locations. The initial contract has been signed for a 10 year period. The scheme will allow for one-way charging, unlike existing car sharing options such as Smove, which has an estimated 15,000 users and 300 cars that can only be returned to the original location. Bollore’s French programme, Autolib, is France’s most successful B2C car sharing scheme and has attracted over 130,000 users across almost 4,000 cars in operation. The world’s most popular car sharing scheme will begin by offering 250 of the recognised Smart fortwo cars, in addition to 50 Mercedes A-Class vehicles. Car2go now claims to have more than 1.9 million registered customers across a fleet of 14,000 vehicles. A rental is made somewhere in the globe every 1.5 seconds. 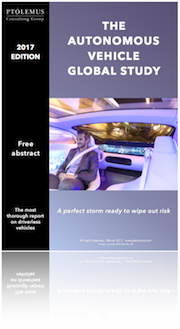 See our global forecast for the growth in car sharing to 2020 here. In order to satisfy regulators in Bangalore, a number of Uber cars will be required to install a meter, similar to those within typical taxis. The units will be installed in each car’s glove compartment and will be supplied by Pulsar Technologies. Drivers will also be required to hold enhanced local authority checks and a certificate concerning their car’s road worthiness. Uber vehicles will also be installed with a GPS enabled ‘panic button’, which will signal Uber HQ and the local authorities in case of emergency. The new maps design enables third party developers to integrate their services, although the payments seem to be handled by Apple Pay – so within Maps you can book an Uber ride and pay for it with Apple Pay. Car2Go has 400 vehicles in Chongqing, China. Since the launch, 40,000 rentals have been made. Despite only launching its first car in 2011, the Damiler owned company has more than 1.1 million members worldwide and plans to increase annual turnover to $800 million by 2020. Meru currently has 1,200 cars across India on its books, although this pales in comparison with Uber and Ola. Meru is able to operate under the much less restrictive city taxi permit scheme because of its small size. The firm has no pooling capability as far as we know. Bluemove is a leader in B2C car sharing in Spain with over 47,000 users. The company has also developed its own technology platform that utilises smartphones for keyless entry and vehicle location etc. The move follows the entry into the Spanish market by Drivy, Car2Go and Zipcar, who add to a range of small, regional providers. BlaBlaCar is also well established in Spain. Discussions are at a very early stage between the two – Uber is also in similar discussions with a number of other carmakers and has agreements with Tesla and Toyota. The deal is designed to accelerate VWs move into ride sharing and autonomous vehicles. Get has now raised a total of $520 million in finding, well behind other ride hailing services such as Uber, Lyft and Didi. It is rumoured that Gett now has a valuation of $2 billion, but this is not confirmed. Get claims to have annual revenues of $500 million. Gett is available in 50 cities across the globe. The new partnership includes an investment from Toyota in Uber and a deal on leasing, which will expand the financing programme, Uber Xchage. Since launching in San Francisco only two years ago, Uber’s car pooling option has grown exponentially alongside other rival ride hailing pooling options such as GrabHitch and Lyft Line. 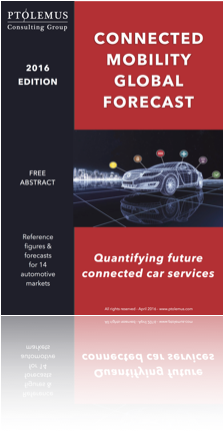 We have forecast the growth of these services up to 2020 as part of out Connected Mobility Study, forecasting that the global car pooling market will be worth $30 billion by 2020. The move essentially represents a relaunch of the company’s existing car sharing scheme, DriveNow, which was previously in Seattle and other US locations before pulling out. ReachNow has attracted over 13,000 users in little over a month. There are currently 370 vehicles as part of the scheme. Drivy has been at the forefront of connected P2P car sharing and has recently moved successfully into the German and Spanish markets, following significant success in France. The Spanish business is said to be growing at a rate of 200% per month. The company also recently acquired German company Autonetzer. Drivy has 850,000 users and 36,000 vehicles on its books. It claims over 1.4 million rental days to date. This is yet another connected mobility offering from BMW, who are arguably now leading the way among the established OEMs. The leasing arm, Alphabet has already begun to integrate the car sharing technology used by DriveNow and ReachNow and offers it as part of its customer proposition. Alphabet will also use OEM data from the Mini as part of its fleet diagnostics offering. The new partnership allows DriveNow customers to pay for fuel at participating TOTAL stations using the vehicles embedded connectivity and removes the need for a fuel card or separate payment method. The strategic partnership will aim to foster cooperation on technology and services. The partnership will allow users to use each other’s services via their own apps when travelling to different countries.